A duplicated copy of ITV3, which has been testing on Freeview during the last month, has gone live on channel 788. For viewers living in locations where only a reduced Freeview channel line-up is available, it means ITV3 can be received for the first time, albeit via a channel number right at the bottom of the list. The duplicate has been testing behind the scenes following a region-by-region configuration of ITV's Freeview capacity which has been taking place over the past few weeks. The existing ITV3 service, available to around 90% of the UK, continues to occupy channel 10. The duplicate copy of ITV3 on channel 788 uses a higher standard definition resolution of 720x576, compared to the 544x576 resolution on channel 10. 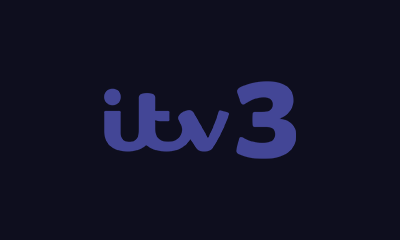 ITV has so far not made any announcement about the additional copy of ITV3 that has now gone live, but the addition comes during a busy period of frequency changes, where viewers on relays and main transmitters are being required to retune to continue receiving services. As such, viewers may notice ITV3 appearing on channel 788 after retuning their device, while some devices will automatically add the duplicate in the background. This information also affects YouView (BT TV, TalkTalk TV, Plusnet TV) as well as EE TV and NOW TV Smart Box users.